Plenty of choices of meat and vegetables to have and big Yorkshire puddings,everything was hot and tasty.The desserts were very good I chose the chocolate mint torte would recommend this. Amazing huge Sunday roasts here, tastes homemade. I’m vegetarian and the portions of varied veg are so massive you don’t even need a veggie option. Definitely recommend for family get togethers or a relaxed date. The Carvery here is excellent. We went for Sunday Lunch and could not fault it at all. We had a lovely carvery and they even cater for celiacs! Lovely food and drinks! Lovely food, friendly service and a good atmosphere. We are regular customers, and are never disappointed with the service we receive. Everything is always clean, and the staff are very friendly and welcoming. We had just driven back from Exmouth 275 miles, it was just what we wanted a good friendly atmosphere and excellent meal. I take my hat of to the Almond family for getting it so right. Fabulous food, pizza was so tasty and the ribs were amazing!!!! Very good quality food. Carvery was superb and very good value for money. Very fresh. Atmosphere was calm and relaxed with very friendly service. Ruth was fantastic from start to finish –really friendly and had a good understanding of the brand. Pleasant pub with a good menu and carvery. Recent refit a success. Staff were very understanding as we were with my dad of 91 and found us a table close to the food. I have been to the Hesketh twice in the last couple of weeks ,first time for midweek lunch in a group of 9 friends and then an evening with different group of 8 ladies .The most popular meal was the incredibly good value Carvery but other choices varied from the many options on the menu .On both occasions the service was outstanding and everyone enjoyed their meals (and drinks).I wouldn’t hesitate to recommend for any one looking for meal out in really pleasant surroundings . Thanks Chloe and team, spur of the moment late lunch. Food lovely and nothing too much trouble, looking forward to next visit. I went to the Hesketh for a carvery and some celebratory drinks with friends. I was pleasantly surprised by the amazing service. The carvery was delicious and the waitress (Lauren) was warm and welcoming from the moment we arrived. I would definitely recommend. Having not been for quite some time, it was lovely to see the high quality of food and service as well as the professionalism of the staff particularly Beth and Tracey. We just had a perfect family Sunday dinner in lovely surroundings and we found the service fantastic. Debby was warm, friendly & looked after us all. I attended with my family & we were looked after so well, nothing was too much trouble. It seemed very easy to co-ordinate drinks and meals for 40+ people and your staff, with Debby in particular, were very calm, helpful and efficient. After the trauma of a family funeral we needed somewhere to relax, mix and refresh and your overall service yesterday was excellent and was deeply appreciated. Large portions of delicious food. Veggie carvery amazing. My cod and chips huge and incredible (and I grew up on the seaside!) Service friendly and professional. Definitely be back. It’s always clean and tidy warm and friendly. The food is always great. The staff are very attentive. Thanks to all the staff at the puss in boots and I will be back in soon, propyl this week. My new favorite place! The restaurant is very child friendly and the service was really good and everything about the place was clean and tidy which include’s the toilets. we were in here Tuesday 1/8/18 for the carvery.fantastic choice to cater for all tastes for under £8.the place is immaculate,very friendly staff,great for a family meal. Visited 4 times while visiting friends. Nice outdoor beer garden. Great food in restaurant,we had the carvery. Modern and comfortable with large restaurant. Good atmosphere and friendly staff. Highly recommended! Good Food, staff very friendly service was very good too we will be returning soon. Aaron helped my 3yr old daughter free her arm, which was trapped in the dining chair. His calm manner & communication with her were excellent. Greeted by Nick who is always there with a warm welcome. Although it was busy he found us a table without fuss. 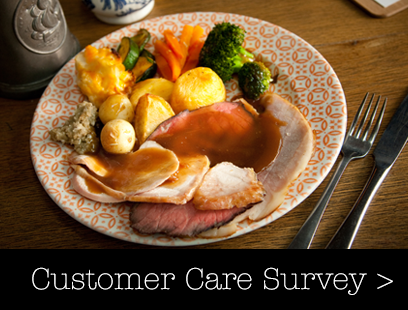 delicious carvery, we’ve tried a few pubs in the area for lunch but now will only go here. I visit The Spread Eagle regularly with my family because the food is always good, the staff are very nice and helpful. Staff were so friendly, carvery was excellent and the drinks were v cold. There were 7 of us and no one had a bad word to say. Family lunch. Good selection of pub staples with the added choice of a comprehensive carvery and artisan pizzas. Good wine list with everything available by the glass. Very attentive and friendly service. My friend has recently moved to the area and we came here for a catch up. Really good Sunday lunch with lots of different meats including a special lemon chicken. I was given the biggest Yorkshire ever which I had to share! Coming here again with my friend. I visited today with my Wife and Children. The welcome was warm and the staff were all really friendly. The food was really tasty, with a great selection of meat, vegetables and salads. The puddings were great. It was reasonably priced too. I was a mystery shopper for 20 years so I am always looking for details of service. I can always tell when staff are happy and have had good training. Your staff have obviously been well trained and are happy in their work. Why do you think we keep coming back? Thanks to all the staff at the puss in boots and I will be back in soon, propyl this week. My new favourite place!